If research on website ranking conducted by Infront Webworks is to go by, the websites on the first page of a search result share up to 95 percent of customers looking for the product or service searched. This means that the rest of the pages; hundreds of pages, share the remaining 5 percent of the traffic. There are many business owners—established corporations and startups—who are searching through the internet for tips on how to improve their website ranking without getting on the wrong books with Google. The truth is, it’s not easy. It’s not easy because the algorithms which affect google ranking are dynamic. 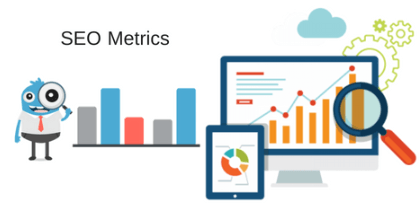 The metrics which determined your website rank a couple of years may not work today, and what works today may be irrelevant tomorrow. Therefore; there isn’t a foolproof google SEO guide. This in-depth step by step guide will consequently be revised over the coming months so be sure to check often for an updated version. How I wish I had a formula that does it once and for all. I won’t sugarcoat it; it’s difficult to rank a page these days. It takes time and effort to get your website on the first page for almost any keyword. You’d have to be very resourceful, creative, and resistant to have your site on the top Google positions in just a few months. We have helped many client websites get to the top for their set of keywords, so we have the knowledge, creativity, and experience required to rise through the Google website rankings. That’s why we put this insightful google SEO guide for our readers like you to help you improve your search engine rank position. In this well-researched guide, we will address all the basics of on-page search engine optimization for web traffic rank. This way, you will address the optimization needs for both the traffic and the search engine crawlers. If you read through the guide and implement the steps discussed, diligently, you’ll be on the path to mastery of on-page and off-page SEO. Here are the twelve easy steps to improve google ranking without getting penalized. Google has been rolling out ranking algorithms over the years. Over the last nine years alone, we have had nine search algorithms all of which have considered different metrics as factors for improving google rank and SEO keyword positioning. These are; Panda, Pigeon, Penguin, Hummingbird, Possum, Mobile-friendly update, Fred, and RankBrain. 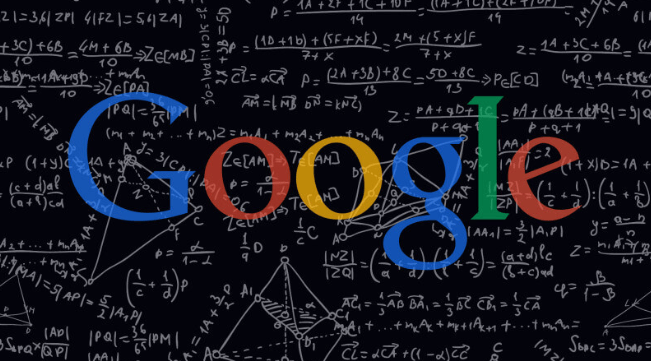 What are Google ranking algorithms? A Google algorithm or the Google PageRank is a formula with a set of rules and processes which Google follows when ranking websites. As the case with many institutions out there, if you follow the rules religiously, you’ll be in the goods books, and if break the rules, you’ll be punished. I’m sure you don’t want to put some effort into getting your website to the top of Google only to be punished, and the efforts thwarted, so the best bet is to know the rules and play by them. That is if you want to set your website up for long-term success. The biggest challenge to online marketers today is the frequent changes in Google algorithms. If Moz, a leading SEO company is to go by, the algorithms change mysteriously; between 500 and 600 shifts per year. That’s almost twice every day. It’s even more mindboggling when you imagine that Google does not announce the changes and nobody knows the details about the algorithms. The best we can do as industry professionals, from experience, is to speculate on how to rank on google based on previous successes. Now that you know how fast rules of the game change, you should know that not all the actionable steps outlined below will help you with search engine optimization ranking. However, note that they are vital basics of SEO and you have to keep trying till you get to the top. To set your SEO ranking goals, you need to assess your current SEO so that you have an idea on where you stand as you cite where you need to be. This is regardless of whether the website is brand new or has been in operation for some years. There are several SEO audit tools which can help you with this, free of charge. One of the most reliable Google ranking tools you can use to audit your SEO is SERPs.com which is a very search specific site. For instance, if you have been writing articles for your website targeting particular sets of keywords, SERPs.com will help you assess the performance of your SEO based on those specific keywords. You only have to type the website’s URL and the keywords you’re ranking for. For a more detailed analysis, you can choose to see your ranking as per different search engines and as per different devices. Your organic traffic: it is essential to know how many people visit your website from search engines. If you have enough traffic from organic search, you won’t be spending tons of money or paid searches, social media campaigns, and affiliate marketing. However, if you don’t, you need to invest in your SEO for better google rating. Google will only love you if people like you. A good site rank will make people love you and leave google no otherwise but to reward you with even better page rank. You’ve probably heard of that old phrase “God helps those who help themselves,” or a version of it and it applies here. Many DIY SEO guys think that the goal here is to please google. It’s not. The aim impresses the traffic, if your web contents are of high quality and relevant to the needs of searchers of a given set of keywords, much traffic will land on your website and will show Google that you are an authority brand. Moreover, Google will reward you with better google ranking. It is not the other way round. Google ranking algorithms are now tailored to give better rankings to websites with relevant, fresh, quality contents. Does this sound like Google is out to punish websites with old contents? It does, but that’s not the goal here. The goal is to ensure that Google’s users get the most relevant search results. So, if you are looking for how to get your website on top of Google, start by creating fresh and relevant web contents. Many SEO specialists will tell you that the latest Google algorithms and indexes web pages with high-quality contents instead of those with low-quality contents. The smart algorithms know what pages offer genuinely relevant and insightful contents and which ones are full of filler contents. Many people work hard on producing keyword saturated contents under the notion that Google will index the pages which contain a lot of the keyword phrase. This has led to keyword stuffing to achieve the top search engine ranking position. Well, that worked a few years ago. It doesn’t work anymore. 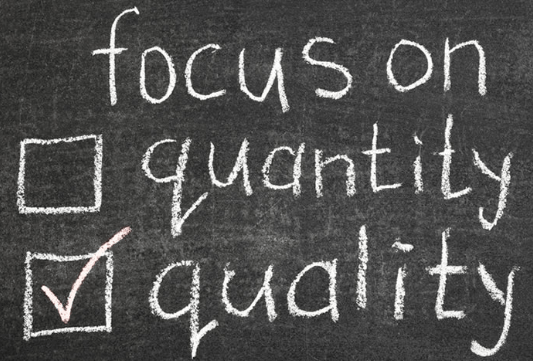 Today, Google ranks for quality rather than quantity. It knows if the content is copied, stuffed, low quality, high quality, and so much more. If it were that easy, many websites would cheat their way up and get to the top overnight. Now that you know that the algorithm values quality over quantity, stay safe; pull down any substantial content on your website and replace it with some well-researched, high-quality contents. If you have a blog, then you have a powerful tool which you can use to keep your website refreshed with some quality contents. Also, it shouldn’t be only about building a readership; it should be about offering the readers in-depth, concise, insightful and accurate information. If your blog is misleading the readers, Google will know, and your search engine ranking will go down. I presume that you followed step number two and did an SEO audit on your website before launching your SEO campaign. You’ll need to keep track of these essential Google positioning metrics so that you know whether your SEO strategy is bearing positive results or not. Organic traffic: This is the number of visitors who land on your site from search engines. Web traffic is the most critical attribute in google ranking. Google will give you a better ranking if many people visit your website. Keyword ranking; your web contents should be optimized with your commercial keywords. A keyword density of 1-2% will do you right for better google ranking. A positive track in these fundamental metrics will result in better PageRank for your website and vice versa. While Google will reward your SEO efforts, it will also punish a ranking website if the algorithm notes that dubious methods were used achieve the top rankings unfairly. Do research and find out what Google would punish you for and avoid it like the plague. An easy way to find out which penalty on your website is violating Google’s policies, use Moz. When you find them, get rid of them fast. It is important to take time to research your keywords. Understand note what your readers and potential readers search for; the phrases. Also, note how they look for use on Google because that too has a direct bearing on your website rank. Google’s keyword planner will help you will this. 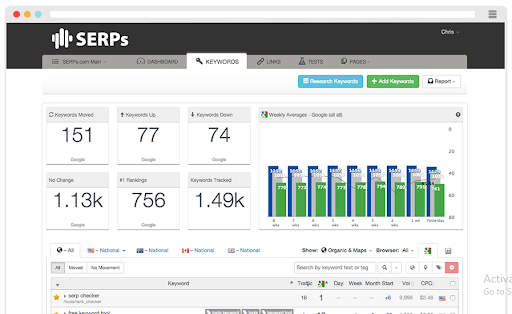 It will give you the relevant keyword phrases, average monthly searches for the keyword ideas, and the difficulty of the keywords. Go for keywords with high search volumes and low competition. 8. Give Google clear meta-description of your posts. Many people publish posts on the internet and forget to write Meta descriptions for the posts. It is one of the metrics Google uses for page ranking. There’s a chance that you’ll rank higher than your competitors if they don’t write these posts description so never overlook them. A meta-description lets Google know about your content so that it can pull it out fast when a user looks up for something related to your post. Keep it short, clear and optimized. Links can hurt or improve your website rank. As the case with low quality and high-quality web contents, low-quality links will attract penalties while high-quality links will attract good rewards. High-quality backlinks show Google that your website is of some value to somebody and that somebody is referring readers to your site for great contents and that leads to good ranking. Assess the quality of your links; remove broken and low-quality links, and generate quality links. Paid adverts would be a shortcut to website traffic ranks. Google knows that too and penalizes websites which overdo advertising. It’s difficult to achieve the delicate balance with paid search ranking because you can’t tell how much of it is good for your website and how much of it hurts your website’s rank. To stay safe, go slow on advertising. There has been an exponential growth in the use of mobile devices to browse the internet. Close to 90 percent of American browse on their mobile devices. You can imagine what that does to your website’s ranking if it’s only optimized for use with a desktop. Make sure that users can easily access your website on their phones and tablets. 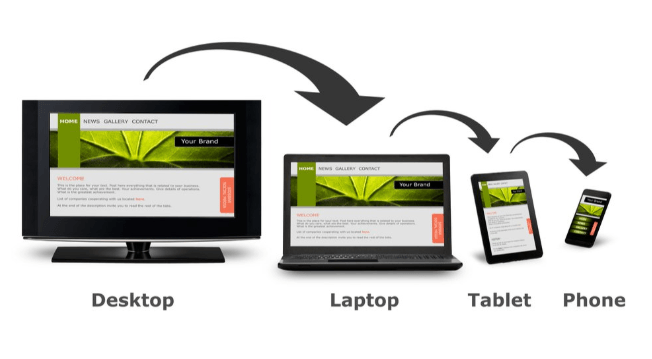 If you can, use a predesigned mobile-friendly template for your site. Google is always making a change on its Google positioning algorithm, and this makes organic ranking difficult because nobody knows the details of what the algorithm is looking out for. However, the basic principles of SEO haven’t changed over the years. Optimized high-quality contents which add value to web users will always give you good website traffic ranking. Google likes it when people share materials over the internet; it’s a sign that the content is relevant and helpful, and it results in top website ranking. We hope that this SEO user guide was insightful. Attain high rankings by following the steps outlined above, and you will note a consistent rise in your Google ranking. Feel free to contact us.